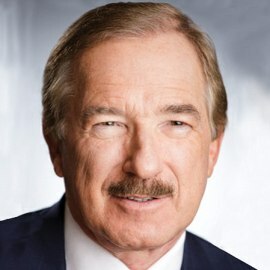 Steven F. Udvar-Házy serves as Air Lease Corporation’s Executive Chairman of the Board. Mr. Udvar- Házy launched Air Lease Corporation in February 2010 and brings more than 40 years of aviation industry experience to the company. In 1973, he co-founded the aircraft leasing business that became International Lease Finance Corporation (ILFC). As Chairman and Chief Executive Officer, Mr. Udvar-Házy led ILFC from its inception in 1973 until his retirement in 2010. Mr. Udvar-Házy is a director of SkyWest, Inc. and currently serves as that board’s lead independent director. He is an FAA Airline Transport Pilot with type ratings on multiple jet aircraft and has over 38 years of experience flying jet aircraft. Mr. Udvar-Házy received his Bachelor of Arts degree from the University of California, Los Angeles (UCLA) and has been awarded several honorary doctorate degrees. Mr. Udvar-Házy has been the recipient of numerous awards, including the Wings Club Distinguished Achievement Award, The Howard Hughes Memorial Award from the Aero Club of Southern California, The Wright Brothers Memorial Trophy from the Aero Club of Washington, The Living Legends of Aviation Award, the ISTAT Award, the Air Force Vandenberg Award, Officier de la Légion d’Honneur awarded by the Republic of France, and most recently the Grand Cross of the Order of Merit of Hungary.